If you are a non-profit organisation or registered charity with a website you could be eligible for the Google AdWords Grants. TBA Media are a specialist web development company with many years of experience in all aspects of website development, Google AdWords Management (SEM), Search Engine Optimisation (SEO), Social Media Management (SMM) as well as Social Media Ads (SMA) management. 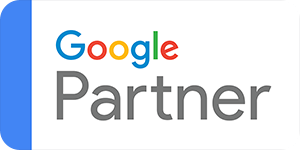 We have helped organisations and businesses to reach a huge extra audience and increase their online exposure and presence via the USD$10K p/month Google AdWords Grant. Google offers grants including the Google AdWords Grant, YouTube Grant and other Google Services that allow paid advertising. Welcome to TBA Media, we can help you apply for, and manage your Google AdWords Grant. Call us today! Find out your eligibility as a non-profit organisation. We will give you clear advice on whether you qualify and provide assistance through the submission process, strategy development and inception of your AdWords campaign upon acceptance. Governmental entities and organizations, hospitals and medical groups, schools, childcare centres, academic institutions and universities are not eligible for Google Ad Grants, but philanthropic arms of educational institutions are eligible. If you are looking for ways to raise awareness of your organisation or charity online, connecting you with like-minded organisations and volunteers this program is a great opportunity to capitalise on specialist assistance provided by one of the leading search engine providers across the globe. Google offers monthly grants for accredited and eligible not-for-profit organisations and Charites of USD$10K toward AdWords advertising on google searches. Through the implementation of a Google AdWords campaign you will dramatically increase traffic of unique visitors to your website helping you to reach more prospects, promoting the charitable work your organisation is committed to. Maximizing your USD$10K monthly budget is challenging, we have the experience you need. Non-profit advertising works in the following way. As part of the program Google will provide your organisation with all the AdWords solutions, guidelines and tools you need to boost your rankings, enhance your visibility and drive more traffic toward your organisation. TBA Media look forward to helping your organisation through the process of application and in helping you to reach the far corners of the globe and promote the work you do.